As an educational content specialist in the International Education, Research and Outreach department of Sesame Workshop, Brevity & Wit Founder and Principal Consultant Minal Bopaiah compiled and interpreted quantitative and qualitative research to inform future programming and brief senior leadership. 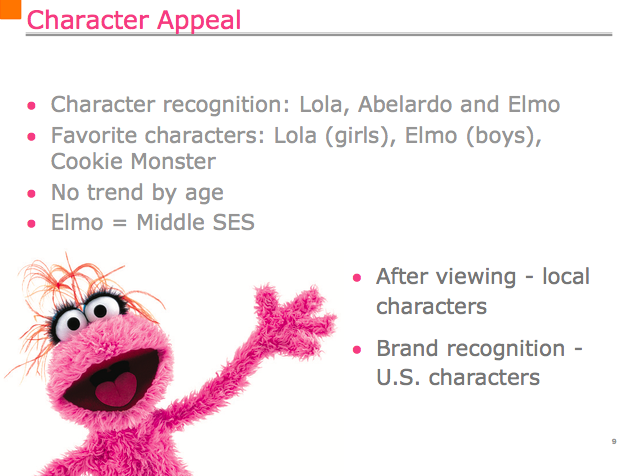 Sesame Workshop (SW) – the nonprofit behind Sesame Street – produces co-productions of the show in more than 100 countries around the world. When doing so, SW has a strict code of conduct that encourages culturally appropriate programming so that children can learn best. SW also conducts rigorous research on its shows to determine if its programming helps to teach children and how it can become more effective. 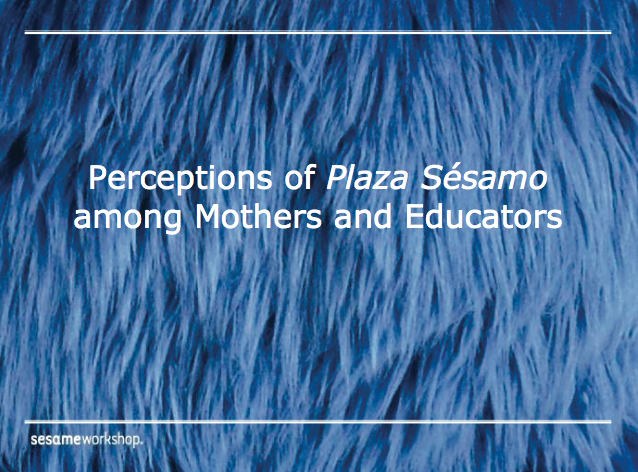 Over its 35 years of production, Plaza Sésamo, SW’s co-production in Mexico and Argentina, had undergone multiple research studies. 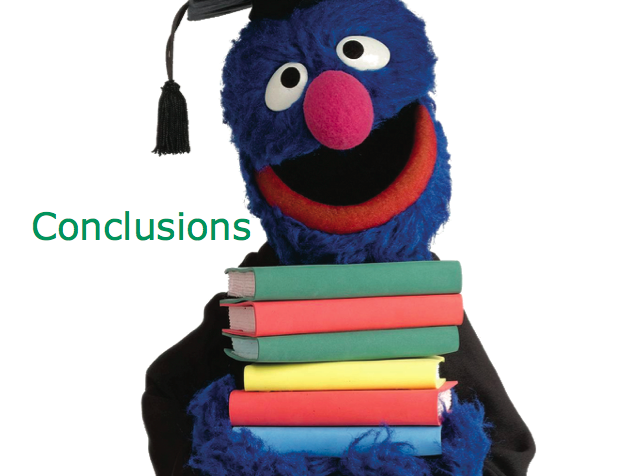 But there was no singular document summarizing those studies and the lessons learned. Create a user-friendly and engaging PowerPoint presentation that would be easy for senior leaders to read and digest, especially those without knowledge of social science methodologies or statistics. Minal first read through each of the seven qualitative studies, which required becoming familiar with data and methodology. 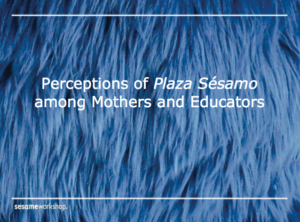 These studies offered insights on viewing habits, character appeal, demographic analysis, favorite formats, and the impact on children’s learning and knowledge. She then created a table that quickly summarized the studies, their sample size, and the pros and cons of the methodologies. After summarizing the studies and their findings, she then looked to “rise above the data” and glean actionable insights for show producers, researchers and content creators. These insights were presented in bullet form with little jargon. Minal then added design elements to increase appeal and engagement. 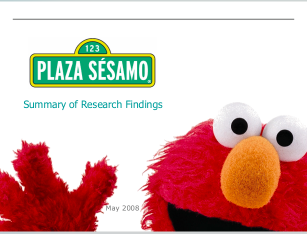 The final product was a 25-page presentation. The engaging design and brevity of the document made it easy for multiple stakeholders to read and digest. A number of the recommendations were adopted or included in future programming.